Lee District will be swum as a 10 lane course on both Saturday (1000 Free) and on Sunday (1650 Free). There will be an opportunity for continuous warm-up/warm-down throughout the meet. The size of the meet makes it important that the meet stay on schedule on both days. THEREFORE ALL SWIMMERS AND COACHES SHOULD MAKE SURE THAT EACH SWIMMER IS READY TO SWIM AND THAT THEIR TIMER (REQUIRED) AND LAP COUNTER (OPTIONAL) ARE IN PLACE PRIOR TO THE CONCLUSION OF THE PRIOR HEAT. The slowest heats of women and men may be combined to produce full heats. Swimmers with a provable entry time in an event were seeded prior to swimmers entered with at time from the next shorter distance (i.e., 500 for the 1000 and 1000 for the 1650.) . 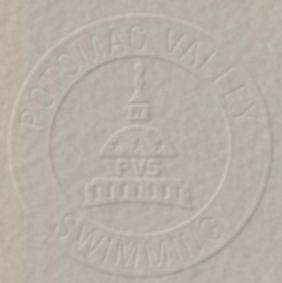 Coaches who believe their swimmer may have been improperly seeded should contact Bill Marlin, PVS Distance Coordinator to request a review of how their swimmer was seeded. If swimmers could have entered based on an intermediate time, please provide specific information including the meet, date and event. Please submit no later than 5PM Thursday, January 3. It is anticipated that no more than 13 heats of the Women's 1000 and 9 heats of the Men's 1000 will be swum on Saturday. Depending on the number of swimmers who report, less heats may be needed. The last heat may have women and men combined. Accordingly, men should report in time to be ready to swim no later than 10:38 AM and women no later than 11:56 AM. No more than 9 heats of the Women's 1650 and 7 heats of the Men's 1650 are expected to be swum on Sunday.